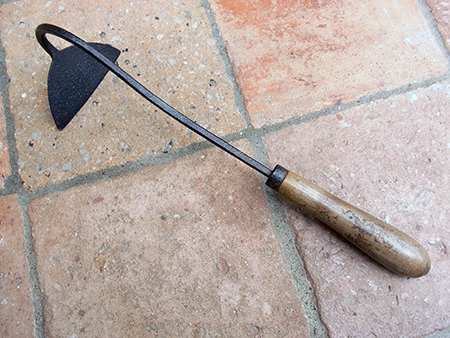 Vintage English Hand Hoe or Onion Hoe. Nicely patinated pitted wrought steel blade on long stem. Lovely light beechwood handle. 15 inches (38cms).